With the fun and excitement of the holidays comes entertaining in your home. This can range from a friend coming over for coffee to a large gathering of friends and family. I have had my kitchen in a state of disarray for months while I figured out how to wallpaper. Finally, I was able to get my kitchen guest ready. No matter the reason or the number of people who are going to be visiting this season, you want to be prepared. Is your home in tip top holiday shape for entertaining? Her are a few suggestions to make sure you are! Pillows: Add a few pillows with colors and textures to match the colors of the holidays. Go for the deep and rich colors of cinnamon, ginger, evergreen or royal purple or blue. Lighting: You can easily add warmth to a room by changing our the lampshade. Choose a deeper tone, preferable one that may coordinate the pillows you have added. It adds an interesting tone to the room. Coziness: Group your seating to make it more inviting for guests to be comfortable and converse with one another. Also, de-clutter the room as much as possible. Candles: Adding candles of various sizes, colors and even with a scent will add warmth and make a room inviting. Windows: A simple window treatment can make a room look and feel completely different. If you find drapes in a lighter shade from your pillows and shades you chose, it will make a huge difference. I have been looking for window treatments for my home for a long time. I just could not find the right combination of colors and textures that worked for me. It was driving me crazy and I began to wonder if I was ever going to find something suitable. I knew I was going to have people over during the holidays and I wanted to make sure I had something chosen before then. If you need help, getting your home holiday ready with Brylane Home is a great idea! They have such a wonderful selection of home goods, you are bound to find something you will love for your home. You can also see my post on what great Christmas items they have, “Decorating Your Home For The Holidays With Brylane Home” to see exactly how beautiful my tree is! BrylaneHome® Studio Sheer Voile Scarf Valance and Rod-Pocket Panels, which retail for $8.99 to $15.99, depending on the size you need. You can choose 19 wonderful colors in sizes 120″x36″ or 120″x45″. They are perfect for my windows; not too sheer but not too heavy either. 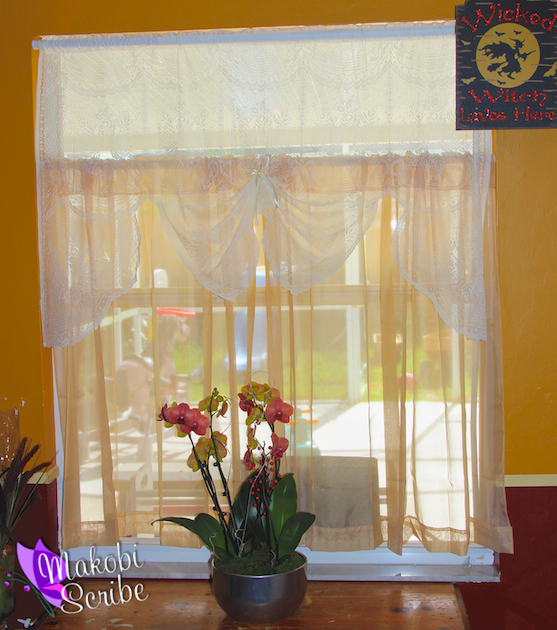 I also chose the BrylaneHome® Studio Sheer Voile Ascot Valance to top the panels. This item sells for $7.99, comes in one size and is available in the same 19 colors as the panels. 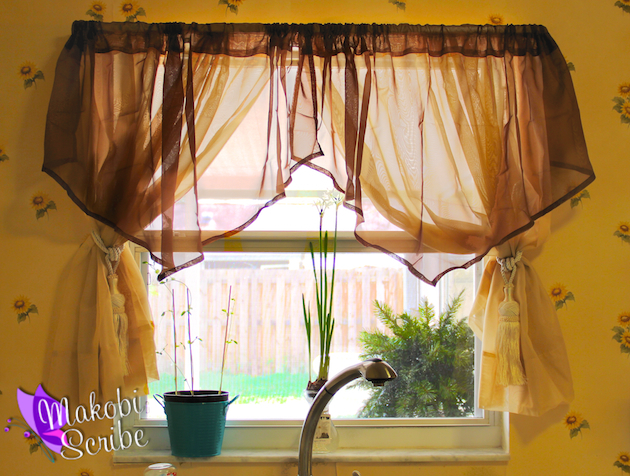 This valance adds a touch of elegance but is also easy at the same time. They make the room comes together brilliantly! I love how the sheer curtains let the light come in softly, but it sure makes taking pictures difficult! If you need new window treatments for your home, Brylane Home has a super selection at very affordable prices. Be sure to stay current with the latest from Brylane Home and follow them on Facebook and Twitter.